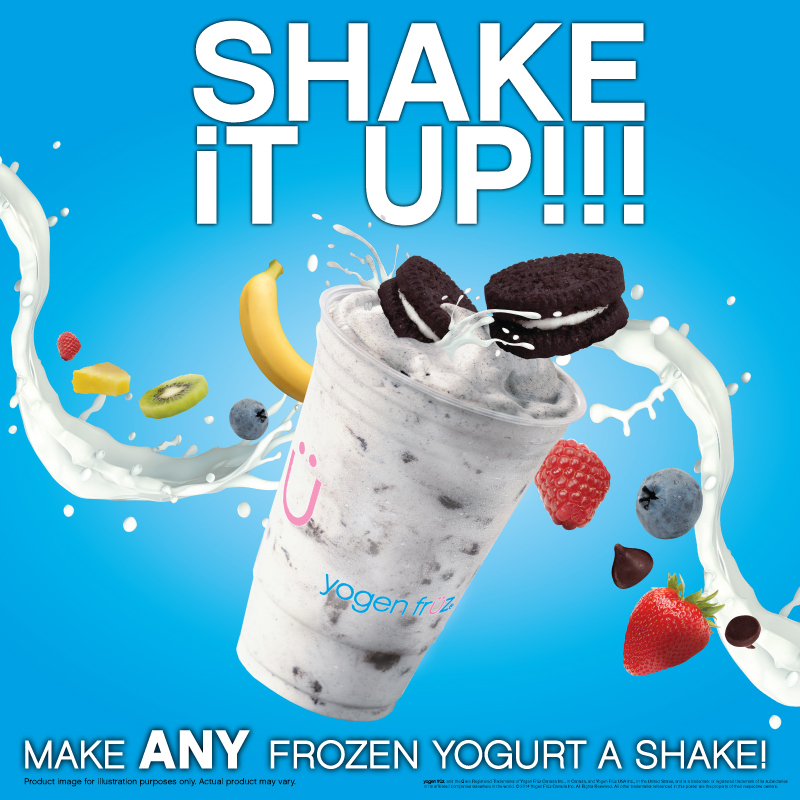 Get ready to shake things up. Now you can make any probiotic frozen yogurt into a milkshake! Forget the spoons as you turn your faves including Oreo® Cookies and Cream, Mint Chocolate or Chai Latté Ü sensation into a sipping delight! 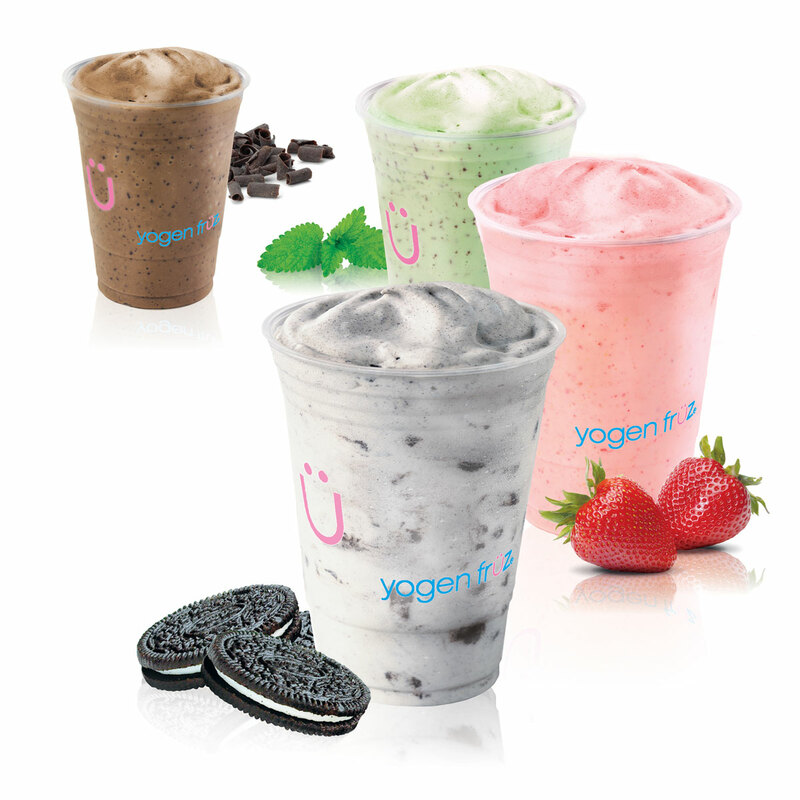 This new Shake it Up option blends your favürite mix with skim milk to for a lighter, yümmy take on classic milkshakes. Many people believe that skim milk is a “watered down” version of whole milk and it lacks nutrients. However, there is actually no added water in skim milk AND has all the nutrients that traditional milk contains without the calories and fat of whole milk! Shake it Up Milkshakes are available on cüstom mixes too. So, go ahead and make your own frozen yogurt masterpiece. Choose from our low-fat, or fat-free frozen yogurt bars then, choose your mix of IQF früits or flavürs. IQF (individually quick frozen) fruits are harvested at their peak to ensure maximum nutrients then frozen immediately to preserve all of its benefits. Shake it Up Milkshakes are available in regular 16oz size only at participating full-serve US and Canada stores. Ask in stores for more details.